Pointillism/ Stippling is the process of using tiny dots to create an image. 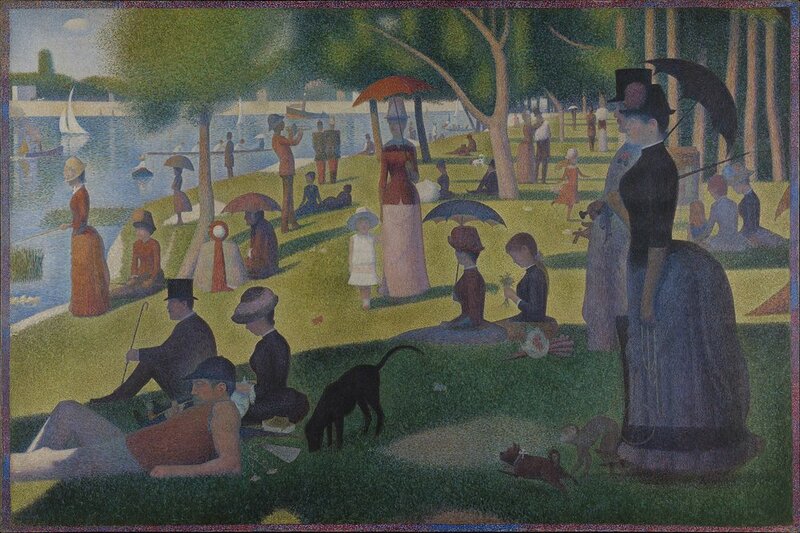 One of the most well known artists that used (and developed) pointillism was Georges Seurat. One of his most famous pieces is A Sunday Afternoon on the Island of La Grande Jatte, pictured here. Of course he used paint, not pen/pencil, but it's the same concept. 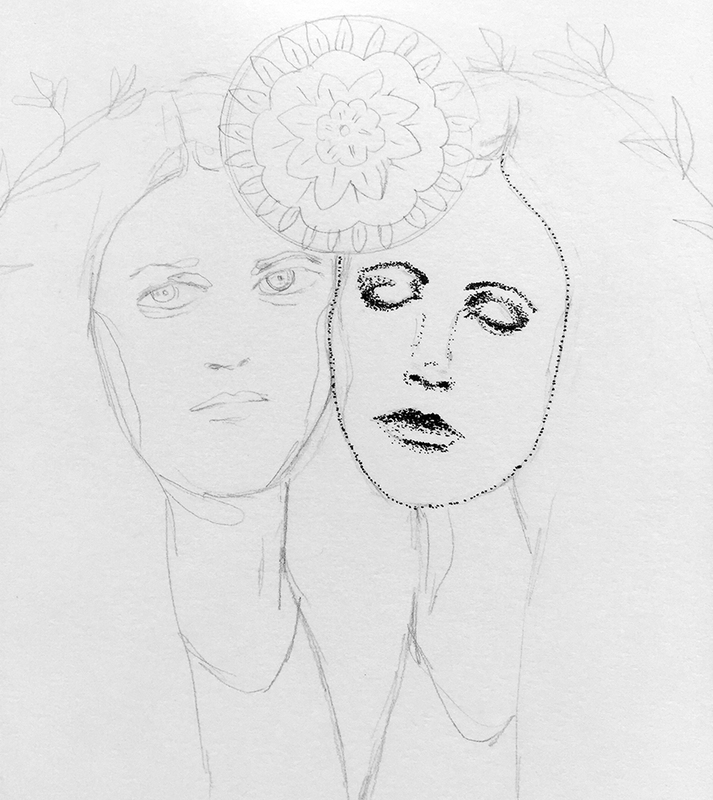 Applying lots and lots of tiny dots to make up an image. I found this to be a very relaxing and meditative exercise, even if I did skip out on filling in the entire hair area with dots. To start off find an image you'd like to use for reference. You are more than welcome to use the same image I used (below). On drawing paper begin by using a medium pencil (HB) and sketching out the initial drawing, making a very light sketch. From there start to fill in all of the darkest areas dot by dot by dot. :) Once you are finished you can lightly erase your pencil sketch. Another option would be to do this exercise on an already painted background, as long as it's completely dry and not too rough. Sketching on a regular basis requires you to pay close attention to the visual world around you. With practice, you begin to see things you never noticed before. These are the pens I used for this exercise. You can find them on amazon or at most art stores. They are waterproof and last a long time.